A mould is a microscopic fungal organism that grows as filamentous networks on organic material, leading to its decomposition. 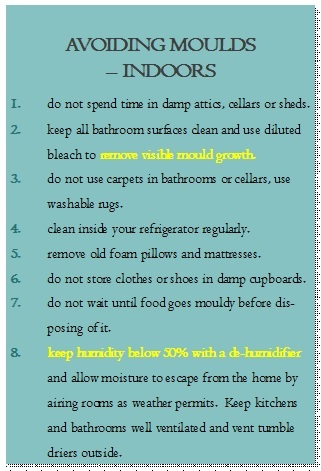 These filaments grow and can eventually be seen as furry growth of mould or mildew. Organic matter is broken down by enzymes from moulds to make nutrients for the organism. This is why they are damaging to items such as fabric, paper and leather. To reproduce, moulds produce spores, which become airborne and settle on other plant or animal organic material and grow into new colonies. The number of spores can be much higher than for pollens and they are capable of travelling over long distances. 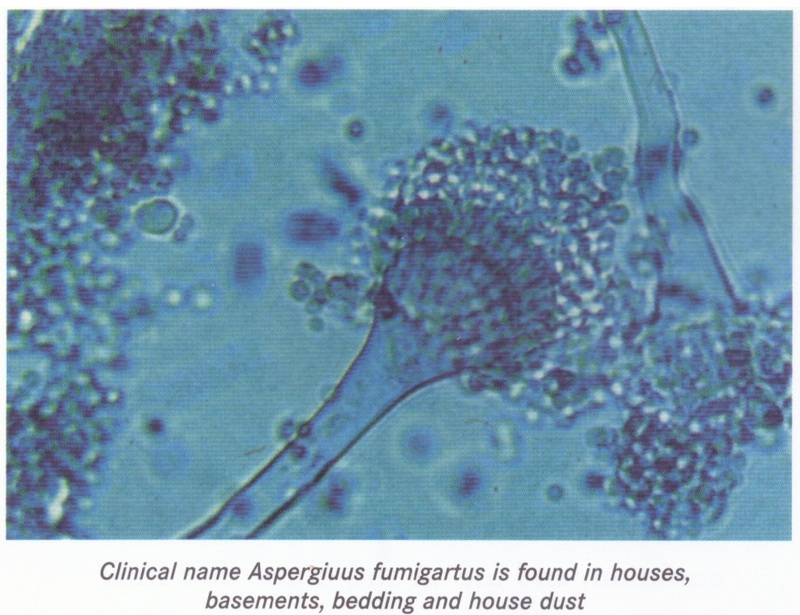 It is proteins from secreting mould filaments and possibly the spores themselves that probably cause allergic reactions amongst asthma patients. They can be found anywhere where it is warm, dark and damp, both indoor and outdoors. As they get their food from decaying material, they do not require light for energy like other plants but they do need moisture. 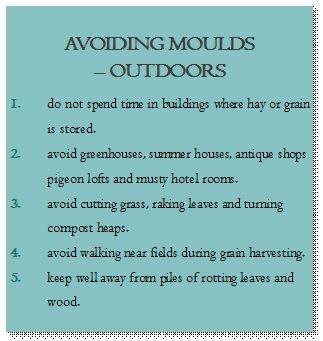 Peak growth times for outdoor moulds are during times of high humidity, growing on grass, tree bark, fallen leaves and decaying vegetation, only being absent when snow is on the ground. Indoors they live only in areas of high humidity, such as refrigerators, cellars, poorly ventilated bathrooms, damp attics and sheds.